Investment into Chinese commercial real estate rose 9.5% YoY to a record-high $43.8b in 2018, according to the latest Greater China Capital Markets Express report by Cushman & Wakefield. The report highlighted how active foreign capital demonstrated a clear preference for China’s Tier-1 cities in 2018 with investments in these areas amounting to approximately $13.9b (RMB94.6b) even amidst the country’s ongoing crackdown on lending, prevailing trade frictions with the US and a cooling domestic economy. In fact, foreign capital accounted for nearly 99% of total investment in China during the year. In Q4 2018 alone, Shanghai’s investment market recorded 22 deals totaling $6.74b (RMB45.18b), an increase of 112% QoQ yet a decline of 10.8% YoY. 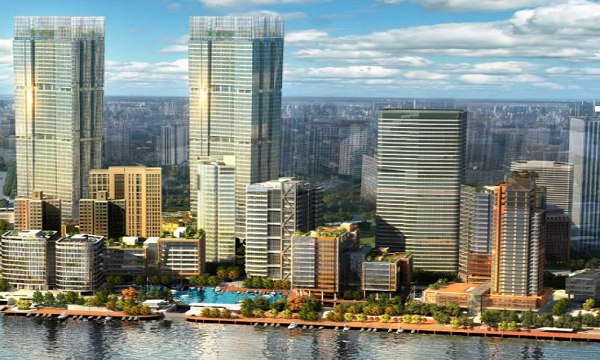 Singapore’s GIC and CapitaLand’s acquisition of Star Harbour International Centre for $2.95b (RMB19.78b) was regarded as the largest deal in Shanghai in 2018. “As a result, foreign investors from Singapore outpaced those from Hong Kong and the US by taking up 43.3% of the total foreign investment during the year,” Cushman & Wakefield said. “Shanghai and Beijing will of course remain attractive and should see reasonable transaction volumes in 2019. However, other areas have garnered particular attention of late, the Greater Bay Area being prime amongst there,” Cushman & Wakefield said. Cushman & Wakefield added that international firms that acquired projects and buildings were observed to favour offshore structures, including embedded lower cost offshore debt which are favourable characteristics when the property comes back for sale. Meanwhile, the report also highlighted how repurposing for alternative uses saw huge investor interest which ultimately led to a handful of projects closing with this view in mind. Cushman & Wakefield pointed out that successful deals with a clear vision of converting the properties to office use included JD’s acquisition of Beijing Jade Hotel for approximately $296m and China Life’s purchase of Beijing Regal hotel for around $247m. “Elsewhere in China, key provincial capital cities are also likely to pop up on an increasing number of investors’ radar, including cities such as Nanjing, Hangzhou, Wuhan, Changsha and Chengdu,” the firm added.